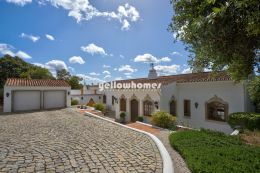 At Yellow Homes - Land & Houses Algarve, we're always looking for further ways to offer our clients the most complete service possible, in addition to our main work - finding the perfect Algarve property for you! But certain services we can't provide in-house, and in such cases we seek partner companies to work with, offering similar high standards to our own. Our clients can now take advantage of preferential terms from a well-established insurance broker, offering a wide range of insurance products. Insurance for your home is essential. A villa or an apartment in the Algarve is no different from that in your home country - indeed, if occasionally vacant or used for holiday rentals, then insuring your property is even more necessary. The company we work with offers a comprehensive range of products, such as a complete selection of household insurance options (including building's owner third-party liability), as well as motor insurances and/or multiple-choice insurances for personal accidents and workman's compensation assurance (WCA). The building methods used in the Algarve are different in several ways from those normally employed in northern Europe. Algarve is located on a geographical fault line, so building regulations relating to this are strongly applied by the authorities. The Terraces and swimming pools must be included in any cover. Interior possessions are not subject to the same level of risk as in most other countries, but the possibility of crime should be a consideration. The difference between summer and winter regional weather conditions creates a substantial climatic ‘wear and tear’ factor. For example, expansion and contraction will often create hairline cracks in surface rendering. Valuables such as jewellery, paintings, antiques or personal effects will require certificates of authenticity and a separate valuation. Contents in excess of € 100.000,00 require proof of security measures taken. By Portuguese law all employees must be covered by a separate policy, called 'Acidentes de Trabalho'. For your guidance we can recommend companies that will arrange the right insurance for you. Let Yellow Homes offer you peace of mind!